If you haven't seen our review for Alien: Isolation yet, I can sum it up in a single sentence for you: It's a solid game that is just way too long for the minimalist survival horror genre. With that, why would anyone want to make it even longer with add-on packs?! Actually, this series of five add-on packs are intended for the game's survival mode, which strips it of its long stretches of running from generator to generator and focuses on quick bursts of tension using the game's mechanics. I haven't spent too much time with it, but it feels like a much tighter experience, putting a lot of emphasis on what makes the game good rather than what holds it back. It's also very competitive with leaderboards, speed runs, and the bonuses granted for staying hidden and collecting resources. The first of these add-on packs titled "Corporate Lockdown" will provide three new maps as well as different viewpoints as to how the main story unfolds. SEGA has the explanation themselves. Seegson Executive Ransome has learnt that he has been abandoned by his paymasters. Knowing that the Torrens is on the way, he decides to make his escape and hitch a ride on board, taking decoded Nostromo data with him. However, while escaping he wants to tie up a few loose ends. Also included is a Gauntlet mode which tasks players with running through all three maps back to back without dying. Yeah, I don't think that's for me. 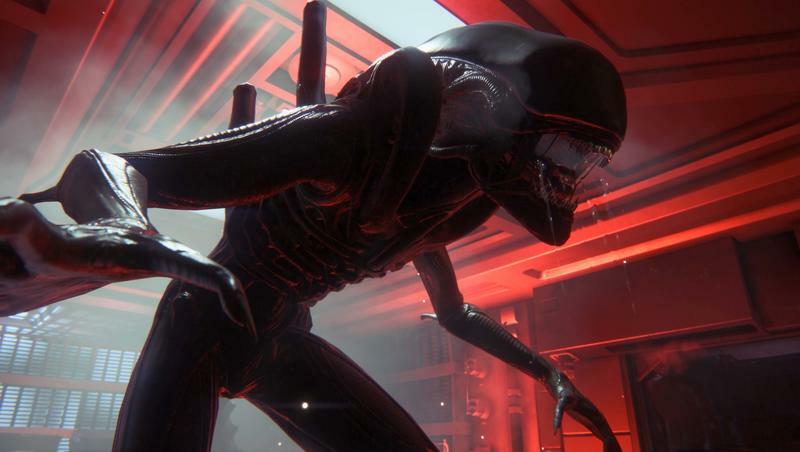 The Alien: Isolation DLC pack "Corporate Lockdown" will be released on Oct. 28 for $7.99. Four more DLC packs are expected to follow.